Even though Easter is very much over, I’m still wearing my new, Easter yellow hoodie and yellow skirt with orange flowers. It’s a color that I’ve been loving more and more over the past two years I think, and it is evident if not everywhere so at least in my wardrobe. 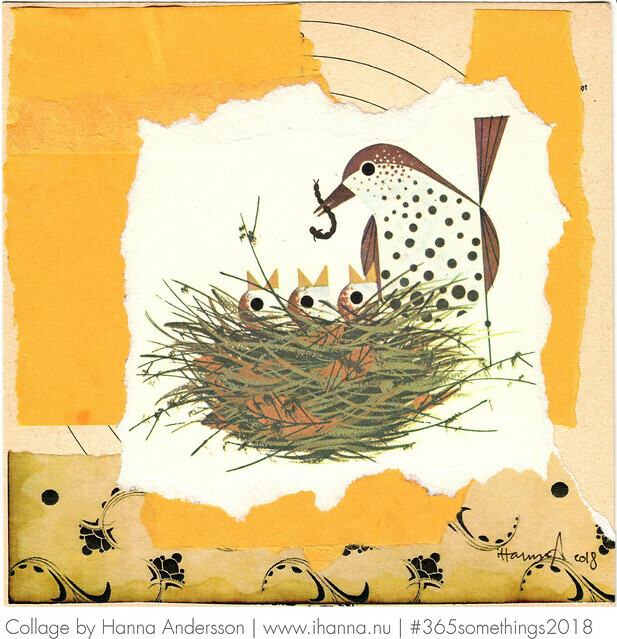 And during Easter this year my collages for 365 Collages went very Easter Yellow Inspired. I hope you like ’em! 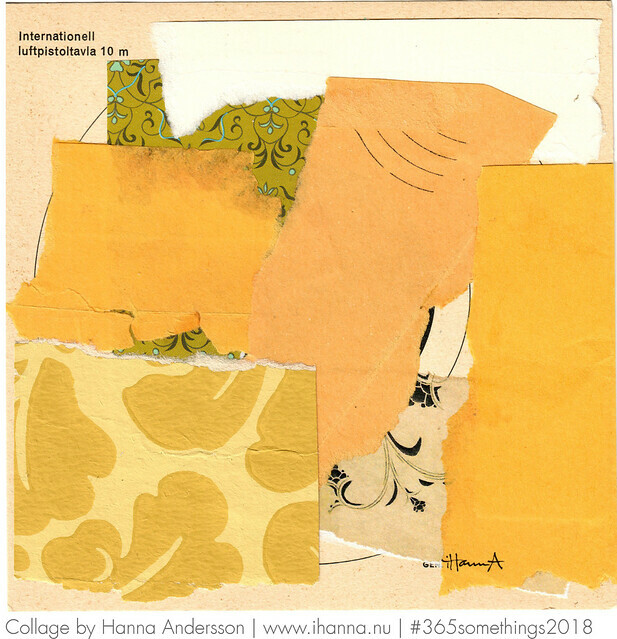 Are you kidding me, a collage by iHanna. Can’t carry all your gold, a collage by iHanna. BTW, today is a great day to start a new project. Maybe you want to do your own 365 project, if you haven’t done so already? Go ahead, start. Start as soon as you’ve read and left me a commented on this post! Sending you some Rick-Rack, a collage by iHanna. The Triplets, a collage by iHanna. 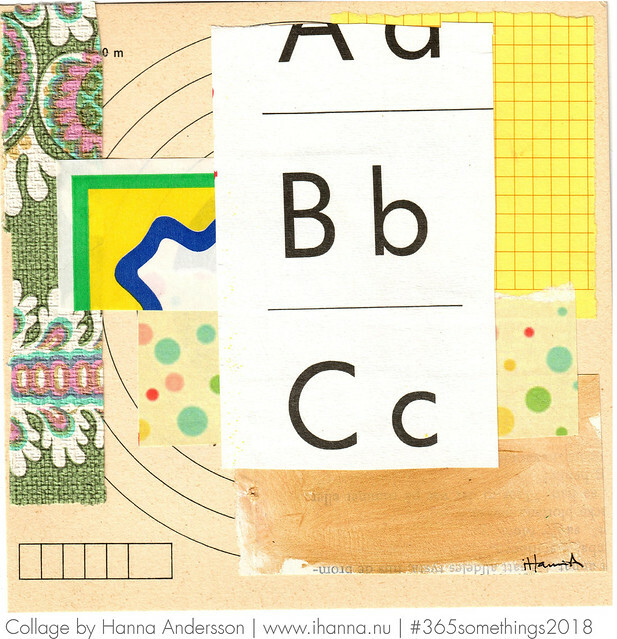 Bits of my Gold, a collage by iHanna. 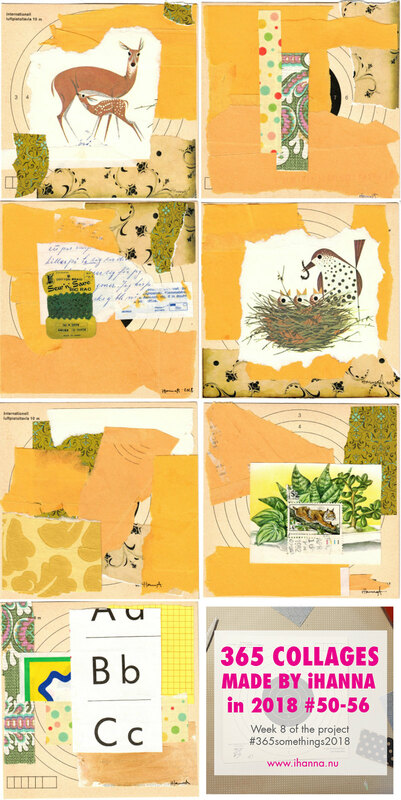 Rare Lynx plant, a collage by iHanna. Take it from the beginning, a collage by iHanna. And here are all of them together. Pin this image if you like the collages! Did you feel the Easter theme? On the other hand, a theme could be envelopes. I love those yellow envelopes, and how they look when you tear into them. Yum! 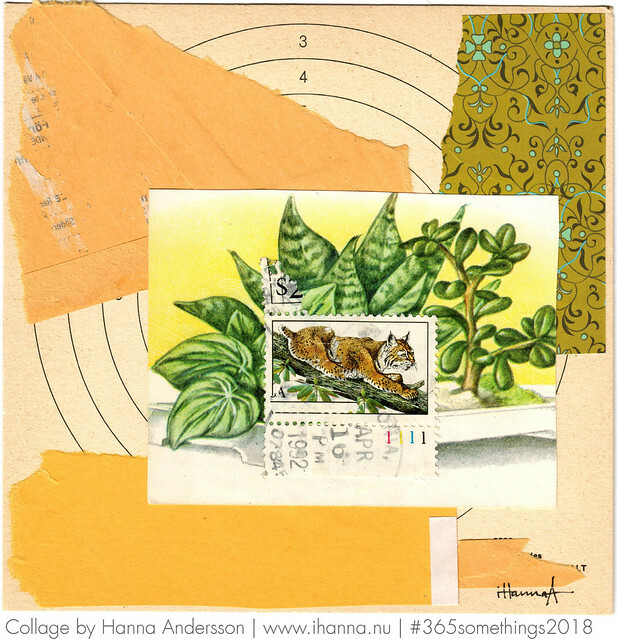 I guess I’m excited about thinking about mail art again, and doing the DIY Postcard Swap. Starting it in a bit, I promise. How about you? 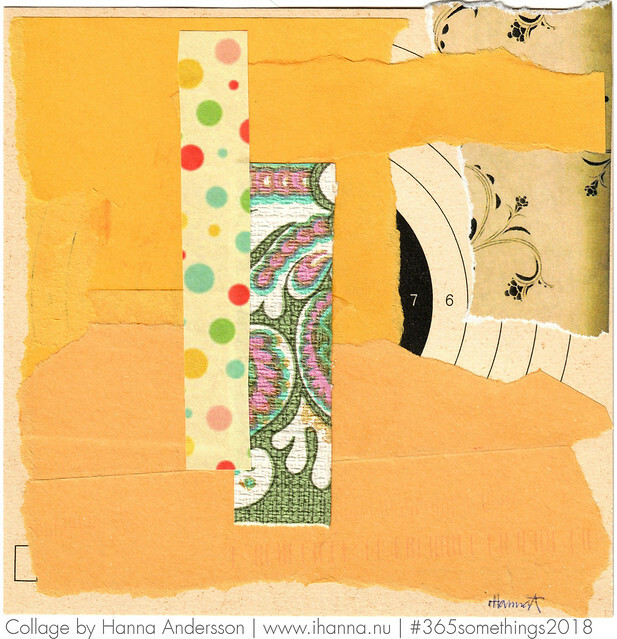 Previously: Week 7: Snow in March | Next up: week 9 | This project is part of my 365 Somethings 2018 and I call it 365 Collages by iHanna | Other Participants and Resources. 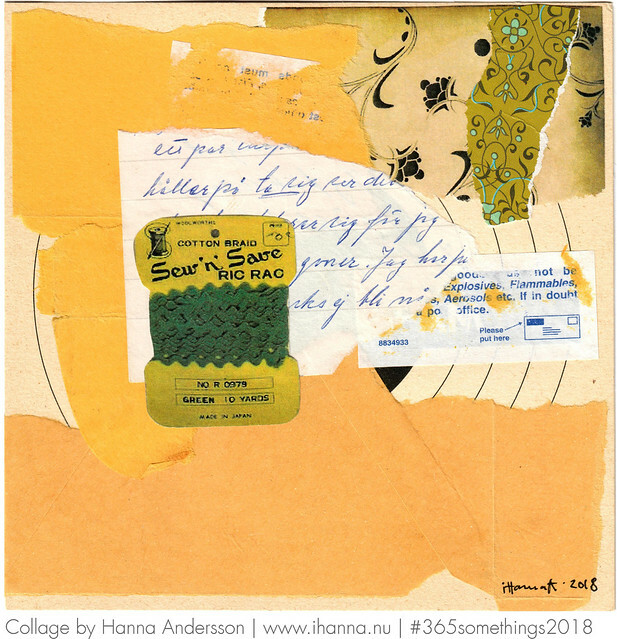 Follow the growing Pinterest Board 365 Somethings to see what the other’s are creating and sharing there each week, and the hashtag is #365somethings2018 and join me on Facebook and Instagram for artsy updates. Cheers. Thanks for joining me and my fellow creators on this year’s big creative journey! Feel free to also check out a previous week 8 from back when I did a similar project in 2013, in case you don’t remember or didn’t read my blog back then. This entry was posted in Collage and tagged 365in2018, easter, square collage. Bookmark the permalink. I love this series! They are so warm and happy. And I love ANYTHING with ric rac! These are beautiful, Hanna! Yellow is my favorite color, so I may be partial to this set. I love the elements of nature that you have included. The ric rac label reminds me of my childhood, watching my mom sew, and going through her boxes of secret treasures. I like this series! The kraft envelope goes nicely with the floral papers. My two favorites are Rick-Rack & Triplets. Cardinals are nesting in a rosebush outside my window, so maybe I will see real baby birds soon. Hope your weather is warming up! Lovely series! 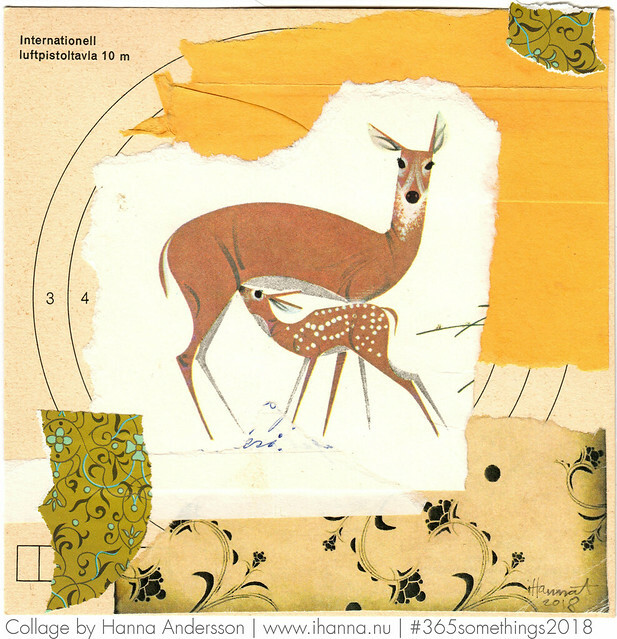 I especially love the vintage illustrations of the birds and deer. That warm yellow you used is delightful and so are all your designs. I love this whole series! But the one with deer is super special.